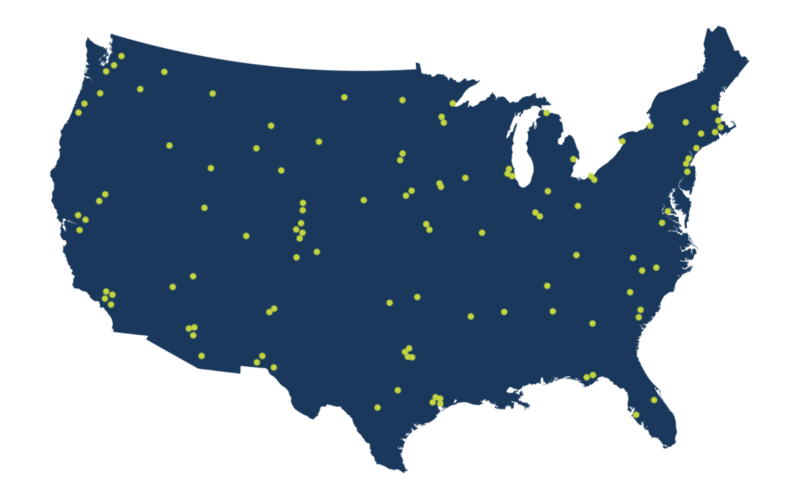 EveryWarehouse currently supports over 150 warehouse locations in the US. Your company can leverage these existing networked facilities. This allows you to take advantage of shared space and labor efficiencies. Pay only for space and services used. EveryWarehouse can create your own network of warehouses using our existing locations, your internal facilities, and your existing third party facilities. Our immediate-up flexible network keeps your inventory close to your customer. All facilities share common system visibility and common work rules driven through our warehouse work queues. Operations are standard for labeling, handling in and out, inspection, OS&D, and reporting.